PHD tailor-made a scaffold solution for iconic British fashion house. Burberry is a British luxury fashion house with Royal Warrants and a heritage that dates back to 1856. 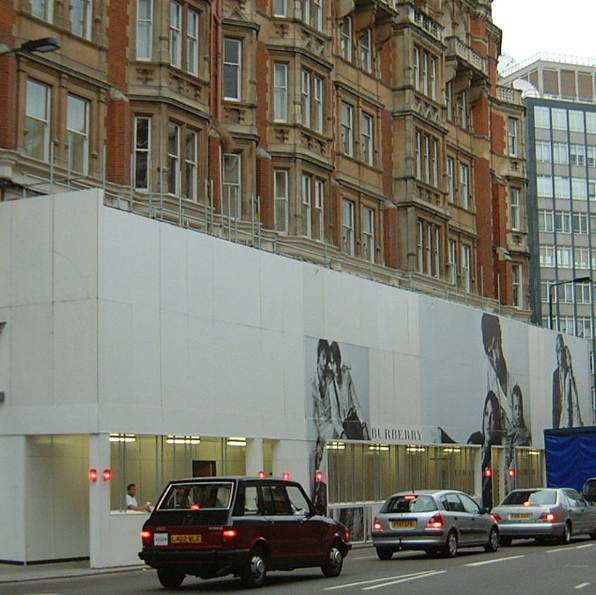 The fashion chain secured a key store location on West London’s affluent Brompton Street opposite Harrods. PHD were commissioned to install the scaffold requirements for both the external rendering and internal fit-out requirements. 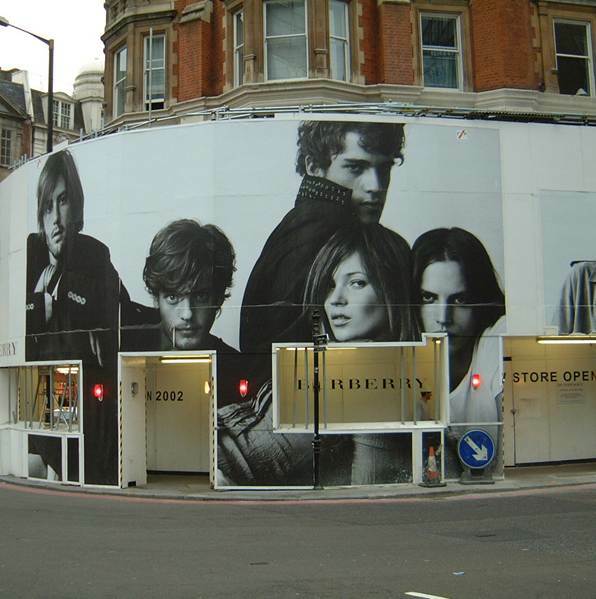 There was a strict requirement for the final cladded solution to be visually pleasing, acting as a display canvas that marketed Burberry to the steady stream of daily tourists and commuters. The final solution produced a three storey heavy duty gantry with timber hoarding and vinyl graphics. The hoarding wrapped around the triangular shaped store entrance following the whole span of the flagship building whilst adhering to the contours of the busy red route of the A4. Mandatory lighting and breakouts where also incorporated into the design.